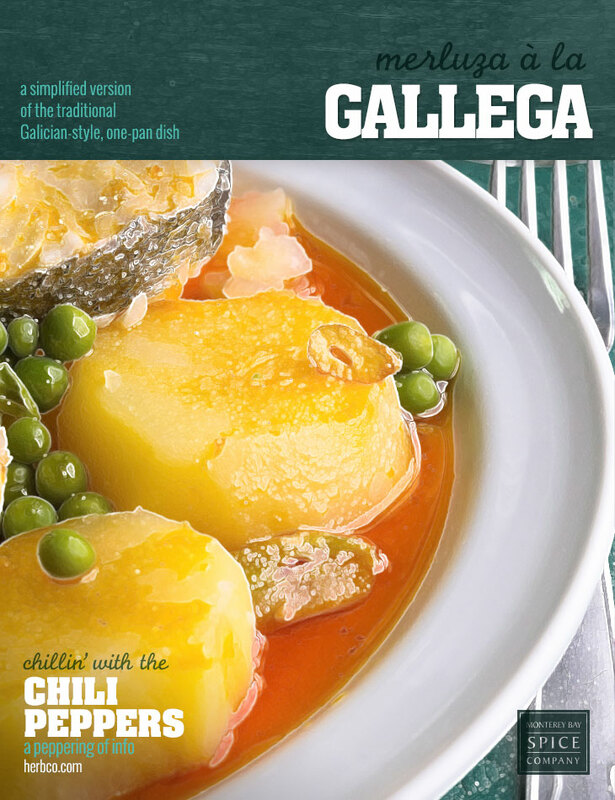 This is a simplified version of the traditional Galician-style, one-pan dish that uses hake, but cod or another medium-flake white fish will do. In a large sauté pan, heat the oil and cook the onions and garlic until soft. Add chorizo, green peppers and paprika and cook for another 5 minutes. Add potatoes, peas, wine and stock and season with salt and pepper. Bring to the boil, then reduce heat to low and simmer, uncovered, until potatoes are just fork tender. Season fish with salt and pepper and place on top of the vegetables. Cover and simmer for until fish is cooked through, about 8 to 10 minutes. Transfer to a serving platter and garnish with fresh parsley.